The title of this blog post comes from the name of a popular Finnish chewing gum called Jenkki. The joke is from a commercial for the gum which said, pure Jenkki (pure is pronounced poo-reh, with the emphasis on the first syllable, and “j” in suomi is like “y” in English) which literally translates to chew on a yankee, or bite a yankee. How appropriately published on the anniversary of 9/11. Here’s an interesting site explaining a bit of the historical connection to Jenkki and Finland, dating back to WWII when U.S. solidiers would hand out gum to kids. Chewing Jenkki (or, gum) was seen for many years as a “filthy habit,” according to the historical explanation I just referenced. Growing up in the panhandle of Florida, yankees were unapologetically loud liberals from the mystical land called “up north,” a place I very much wanted to go. Of course there’s nothing like leaving your home environment to remind you of how much that environment has shaped you. I’ve traveled out of the U.S. many times, but never for more than around six weeks. Living abroad for a year is a bit more long haul (long enough to start to get settled in before you are jarred back into life, and everything will likely seem very strange again). I have now been in Finland for roughly one month and my brain and body are finally beginning to adjust to this new cultural and temporal reality. As a native of the Southeastern United States, I never thought of myself as a yankee, although I aspired to live among them. Point being, in the U.S. I may be a southerner who was living in New York City, but in Finland, I am a Jenkki. Like much of the world, Finland has a combined romanticized and critical image of the U.S. After all, popular culture is arguably our greatest export, and usually in a reconfigured form. I have already started to see the U.S. in mash-up style, especially as I’m scrolling through Facebook news feeds and seeing posts in the same day about Sandra Bland’s death and police brutality, Kim Davis and Mike Huckabee being sued by Survivor, and a kitten and an owl cuddling up together (here’s the truth about that unlikely video). Seriously, what is going on over there?? Here’s an example of the more romanticized end of the Finnish ideas about U.S. culture from a classic Pure Jenkki commercial. There are also examples on the more critical end, but I’ll encourage readers to discover those on your own. I realize it’s rather cliche to move overseas and reflect on my identity as person who grew up in U.S. culture, but I think it’s obligatory for this blog, especially because Fulbright was founded in the spirit of cultural exchange. In this blog, I purposefully avoid referring to the U.S. as America, because technically America is a continent, not a country. However, I also realize that America is also an ideal that is often associated with the U.S., and that my entire life I have been in training for my American-ing. Throughout my grade school and high school education, I was part of a youth theatre company, and within that theatre company, I was in a show choir. We toured around, mostly in Florida, performing at things like Disney Days! and the Springtime Tallahassee Parade. It was about as hometown as you can get. In fact, our longest running show was an hour long musical medley of classic Americana songs that ranged from “The Band Played On” to “Tis a Gift to Be Simple.” At one point during the review, we each performed a famous quote. In writing this blog post, I am reminded of a friend’s quote which was, “America is like a large friendly dog in a small room–every time it wags its tail, it knocks over a chair.” This was written by Arnold J. Toynbee (1889-1975), a British historian. During our Americana musical review, it was positioned as a patriotic quote among many others. 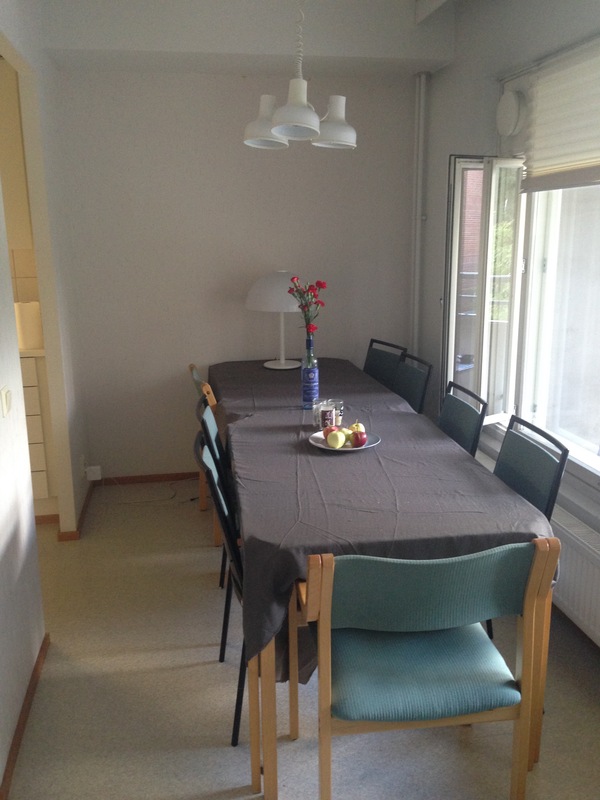 In retrospect, it offers an implicit critique of our foreign policy, although for the purposes of this blog post, I’ve been reflecting on it in terms of my own behaviors in Finland, primarily, a tendency toward excess. It’s obvious that the U.S. is a country of excess. That’s what makes it fascinating. And horrible. We consume we consume we consume. During the first month of being here, I’ve been consuming everything I can and then writing about it, American-ing all over the place. My new Finnish friends have been very patient when I asked, “Where is the equivalent of TJ Maxx?” “The system doesn’t work like that here,” they explain, gently. I am now officially off the mani pedi gerbil wheel. Yesterday, I went to the grocery and purchased some nail polish remover (which looked to me like an opaque antiseptic lotion bottle from the 1980s) and took off the last of my last manicure. The mani pedi industry is endemic and problematic in the U.S. (here’s a rebuttal to that for those interested in further reading) and I have been participating in it for many years. Especially living in New York and walking everywhere, all the time, there was nothing so fabulous as having someone else handle my feet. In no way does this resemble the various, artificially colored bottles of Sally Hansen that I’m used to picking up at the Rite-Aid or Duane Reade. Perhaps there are places here in Finland like that, but I have yet to find them. 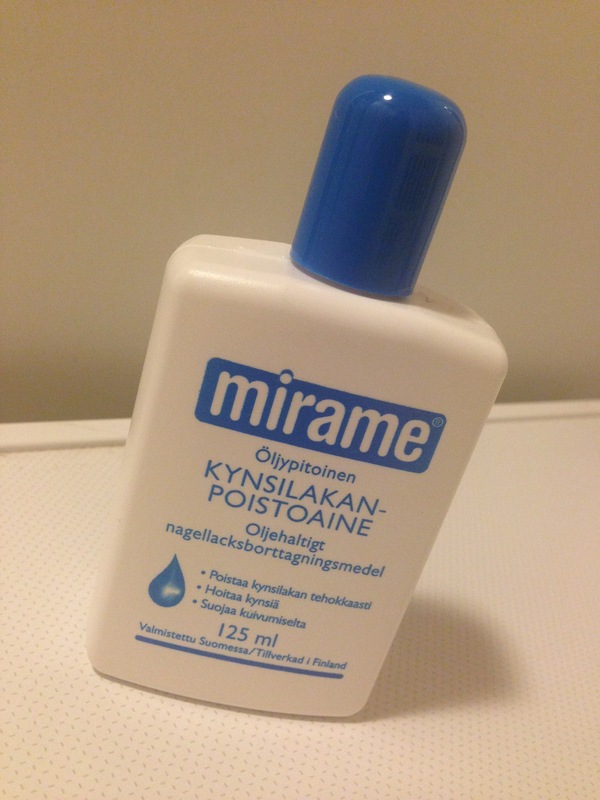 This Finnish nail polish remover is a utilitarian product that doesn’t bother to try to convince you of the benefits of aloe vera versus vitamin E.
Just put it on your nails. It takes off the polish. The end. 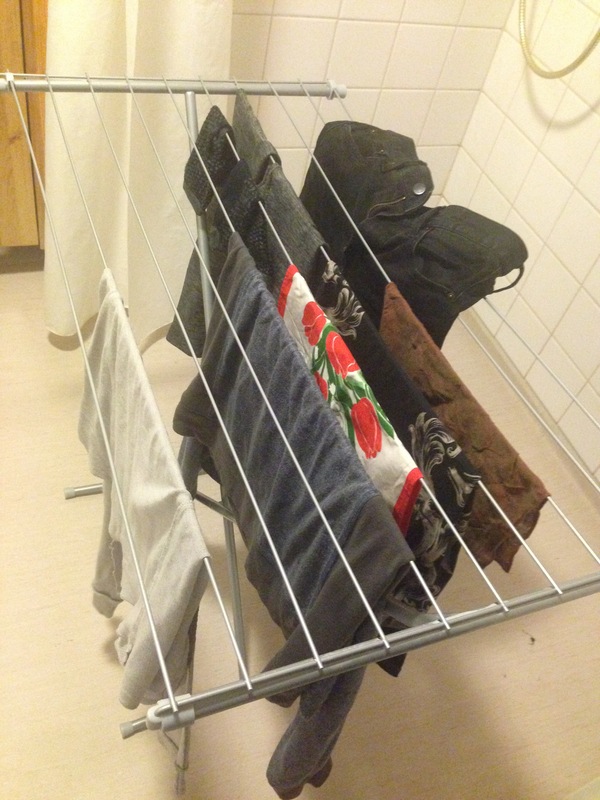 One of our greatest puzzlements before arriving in Finland was how we would do our laundry. 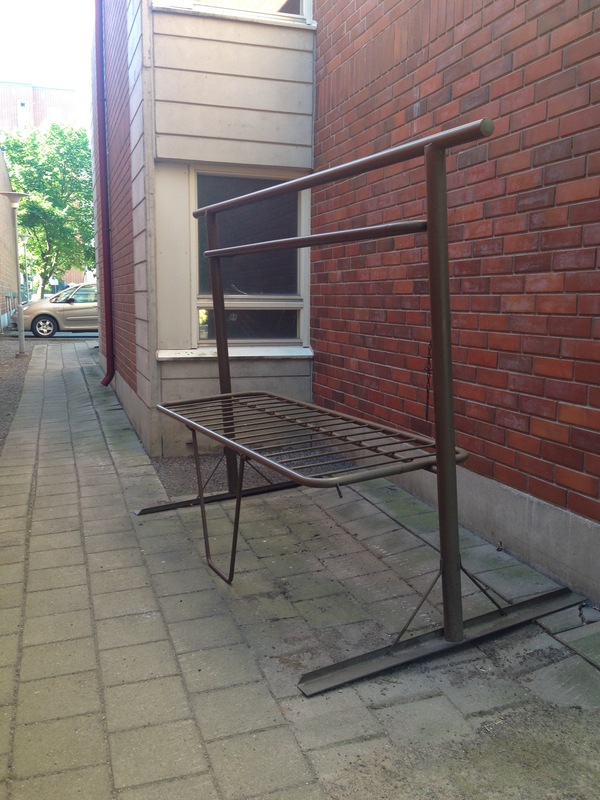 Based on what little information we had about Finnish predilections toward conservation, we knew that dryers would be scarce. 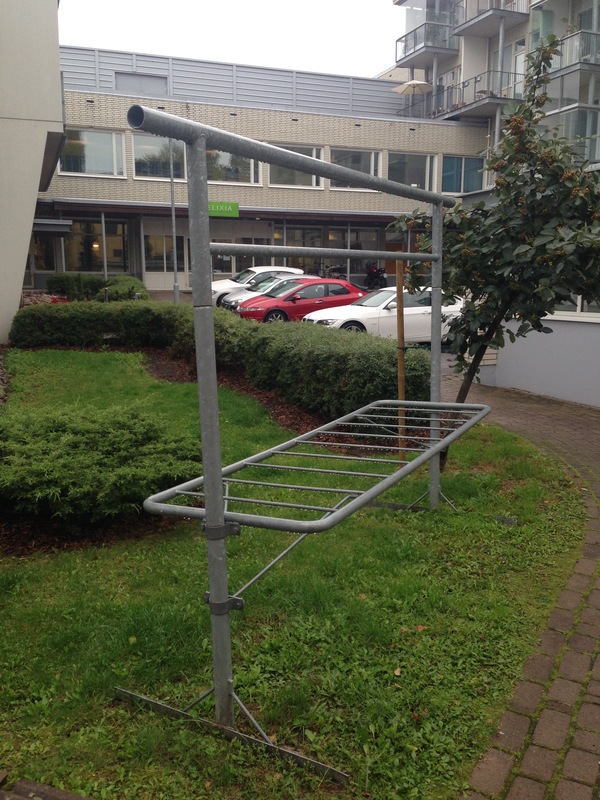 We were even told by university housing that we would not have any laundry at all in our apartment building, but that we were welcome to walk the mile to campus to do our laundry at a guest house. I suddenly found myself longing for the dingy machines circa 1978 in my New York apartment building, or even the three block walk to the loud and grimy laundromat when the building machines were broken. Yet, when we arrived, a small miracle occurred in the form of a WASHING MACHINE IN THE BATHROOM. Or, at least in one of the bathroom areas, as the bathroom (as I would call it) is split into two separate rooms–one with a sink and toilet, and one with an open shower, the washing machine, and the sauna. 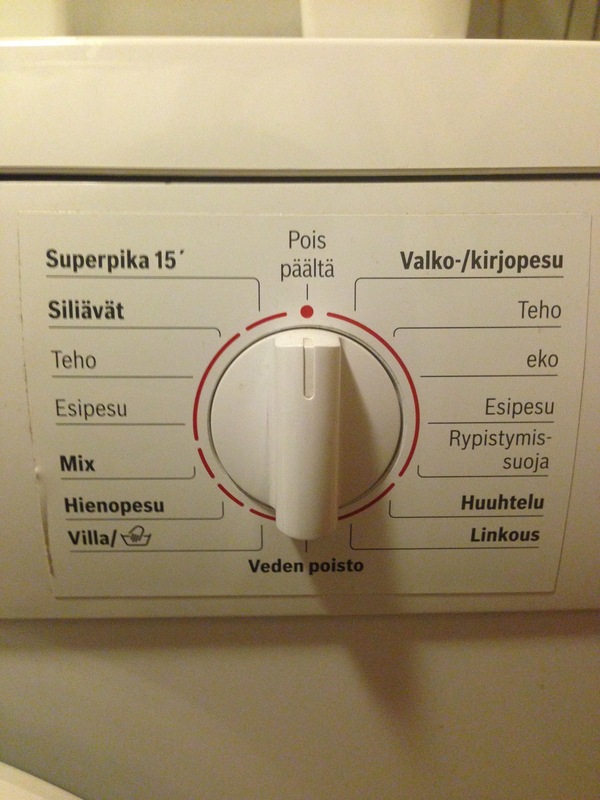 Of course, the language on the dial is all in suomi. So I spent some time with google translate to learn words like “quick wash,” “anti-crease,” “rinse,” and “off.” Eventually we just put something in the machine and pulled the knob. For a while we thought that we needed to manually advance the machine, because it would stop after each part of the cycle, but we finally discovered the magical Siliävät setting which runs the entire cycle all of the way through. It may seem that the location of the sauna immediately next to the washing machine is obviously for a place to dry your clothes. No, Jenkki. You should NEVER dry your clothes in the sauna, it’s a fire hazard. We quickly became experts at hanging our clothes on the dryer rack. It sits in the shower room (which, as I mentioned, is separate from the room with the toilet and sink) which actually is conveniently located next to the sauna, so the residual heat does assist with drying after all. A few days ago, Kumppani turned to me and said, in a resolved tone, “Well, I’ve started washing, hanging dry, and ironing my shirts.” This is HUGE. She is a dapper butch who takes pride in her dry cleaning. Going to the dry cleaners was an event in New York: one that involved taking the dog along and picking up a pastry from our favorite coffee shop. Now, she carefully irons her own collars. This is all ridiculous, of course. It’s not like we are homesteading. 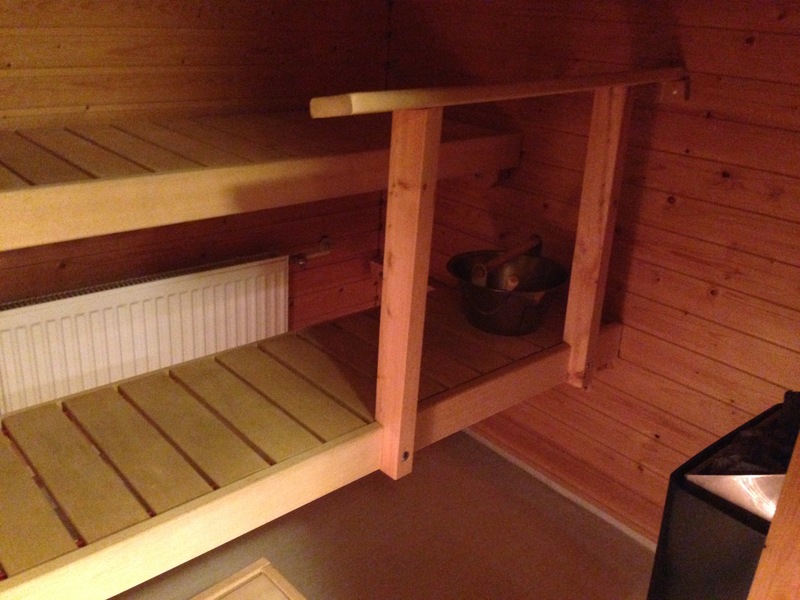 We have a modern apartment with running water and a full kitchen and we have OUR OWN SAUNA. What this means is that when your rugs get dirty, you do not put them in a washing machine or throw them away and then just go to Target for a new one: you take them downstairs to the rug beater in the courtyard and you BEAT THE DIRT OUT OF THEM. This is not cuddly capitalism, as the Nordic Model has infamously been called, this is an example of a circular economy in action. When I had a long day in the states, I would often stop by a discount clothing store on the way home. 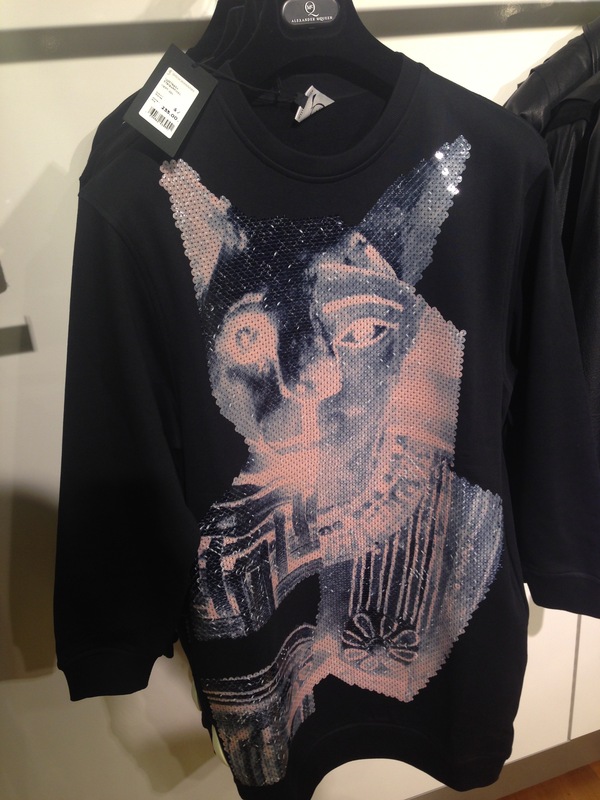 I’m a city university professor so I’m not rolling in bank, thus I turn to discount shopping for my retail therapy. I have a Marshall’s addiction. Correction, I *had* a Marshall’s addiction. Now, I have as many clothes as would fit in two suitcases and that’s all I’m allowed. When I first moved to New York in 2009, I lived in fascinating and beautiful Inwood, a rapidly gentrifying neighborhood in Northern Manhattan, and I found a store I called ‘bag o’ bedbugs.’ I grew up on discount shopping, so when I found this place, I was in a particular kind of heaven. It was hardly a store, it was really a small, narrow room with a desk that had a cash register on it. The guy who ran the place would sit and watch movies or talk online to friends while neighborhood ladies (such as myself) wandered in and out. Outside the only storefront was a tattered brown awning from a previous business, that said something like, “International Goods,” and there were always groups of dudes smoking weed and playing boomboxes, sitting on overturned milk cartons. It was something like what I imagine living in NYC in the 1980s was like. (I’m working not to romanticize here, just describe.) The store/room was filled with clothes in various states of display: some were hanging on racks along the right side of the wall and in the middle of the room, some were randomly thrown in bins along the left side of the wall, some were stacked in boxes on the back wall, and some were just hanging out in garbage bags on the floor. When a new bag would be opened, everyone would gather around and look through it (no elbows, it was a very sharing crowd–women would often offer each other something, “this would look good on you!”). The reasons I was in love with this place were because first, everything was either $1 or $3, and second, because it was all high end second hand store leftovers. It was like the best of the best from Housing Works, or like Buffalo Exchange or Beacon’s Closet had just taken all of the staff picks and put them in a bag. For $10 I could make all the pain of a bad day go away. And then suddenly my favorite store was just gone, like everything good and cheap in New York City. Here in Turku there are a number of thrift and antique stories ranging in price, many just a few blocks from our apartment. In one, we found a bin of random material, and bought a bunch of swaths which which have “covered” our somewhat institutional furniture. 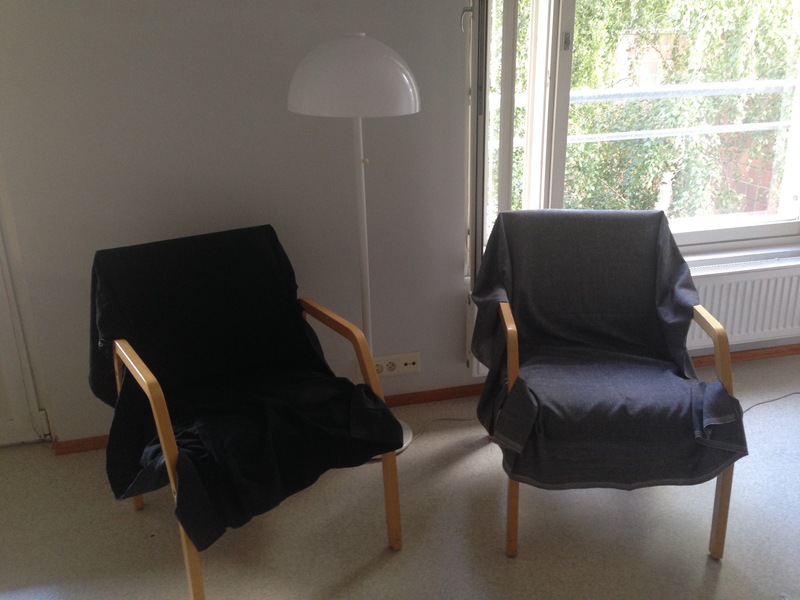 It’s our boho take on doctor’s waiting room meets Ikea circa 1992. You can take the Jenkki femme out of America, but you can’t take America out of the Jenkki femme.